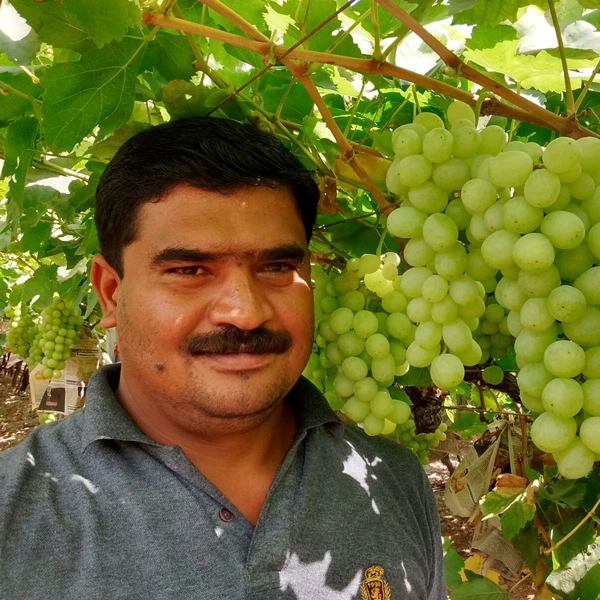 Prashant is a grape farmer from Niphad, Nashik. He produces and sells 6 varieties of grapes and sundried raisins. Owing to the fact that his products are freshly grown and have a deep, sweet flavour, he has gained a wide appreciation among his customers. Being an educated and progessive farmer, he has always been on the lookout for opportunities to sell his produce directly to consumers in the city and has been one of the oldest associates of FarmerUncle. This excellent combination of two amazing grape varieties Thompson Seedless & Jumbo Sharad (Black Seedless) grapes. The combo offers the best of the two most popular vatieties.